About the work: With this piece I wanted to something unexpected. We really don’t know what Psyche will be like when we get there and it was a similar process with this painting. 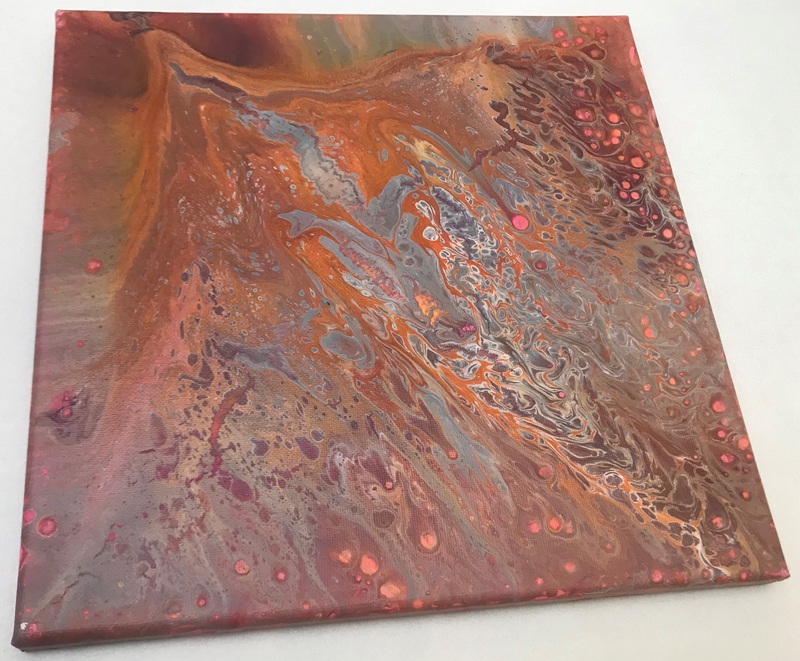 The acrylic pour just consists of mixing some colors together, pouring it on a canvas and letting the paint run wild. As the paint spreads and dries, new patterns emerge and spread unexpectedly. This gives each painting a unique and otherworldly feeling. 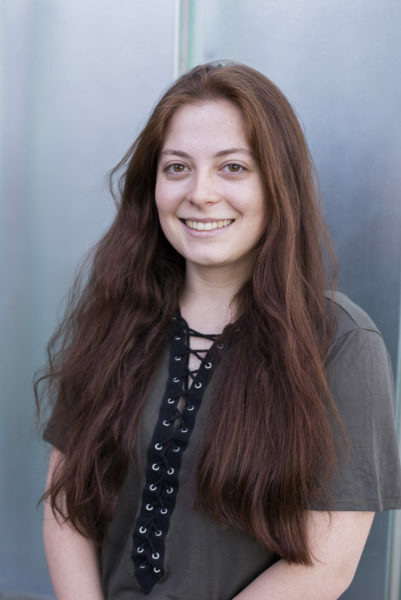 About the work: In this piece I wanted to create a fun interactive piece that not only engaged the public but also shared a little history. In the ASU Asteroid Belt, I included three asteroids that humans have already visited, Eros, Vesta and Ceres, as well as Psyche, which will be visited in 2026. 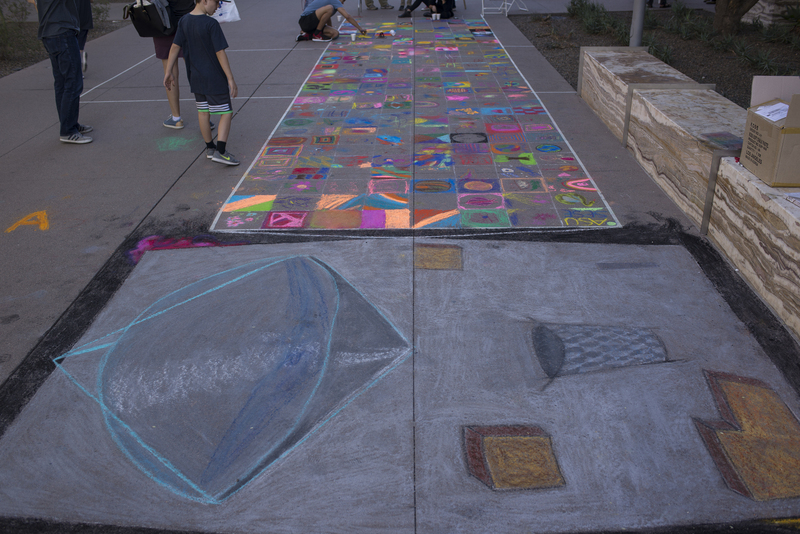 The public were welcome to fill in the smaller surrounding asteroids, creating an amazing mash up of imagination and creativity. 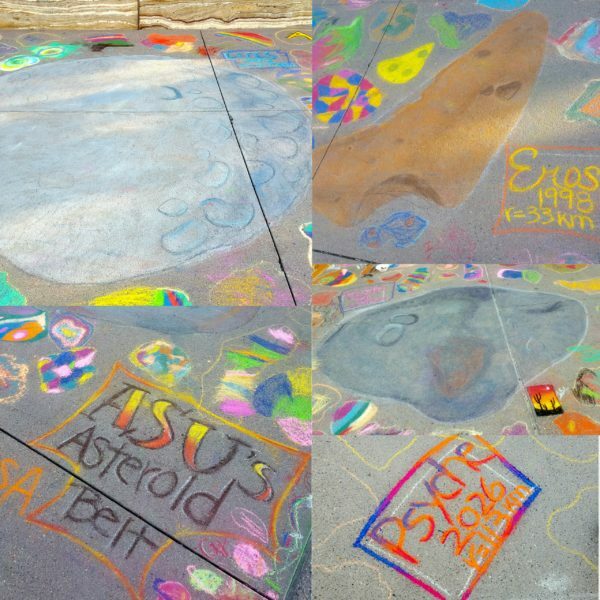 ASU’s Asteroid Belt embraces the combination of science and art, just like the Psyche Inspired program does. 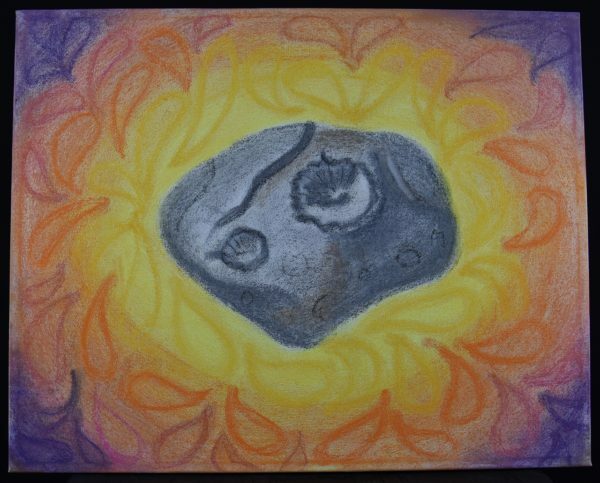 About the work: This is a painting of the asteroid inspired by the artist rendition in most of Psyche’s videos. The piece is from the perspective of the spacecraft as it is coming over one side of the asteroid. 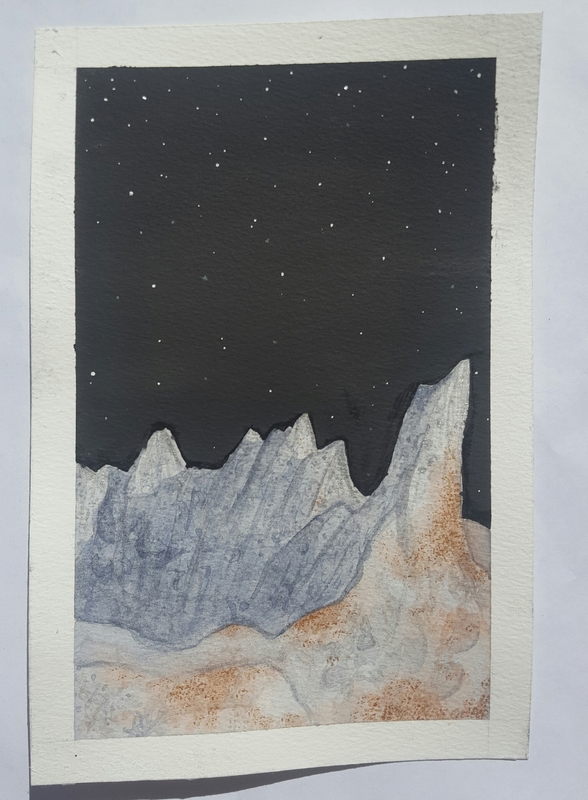 I used watercolor, with a special focus on some metallic watercolors to create the metallic feel for the asteroid. 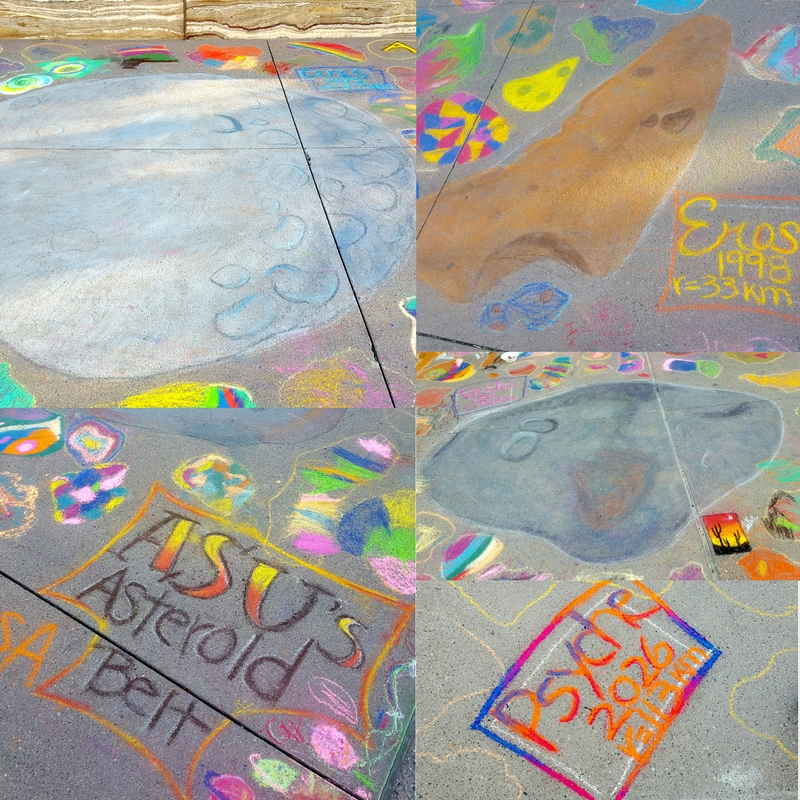 About the work: I created street art for ASU’s Earth and Space Exploration Day on November 18th. This piece contained half of the Psyche satellite, with accurate dimensions to show the public the size. I filled in the entirety of the bus (body) of the spacecraft. For the solar panels, however, I invited kids (of all ages!) at the event to participate: Each person got a small cup of chalk and a square foot to draw any image of space that they wanted. About the work: This piece is based on the Japanese art style of Notan, which focuses on stark contrasts. 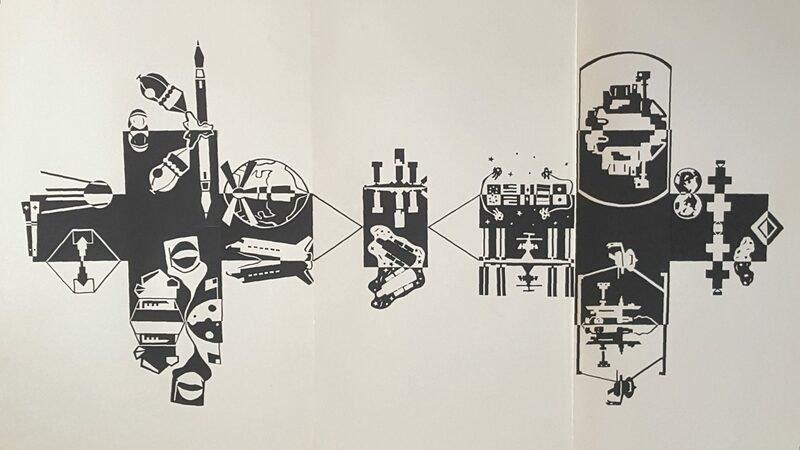 Designs and shapes are cut into black paper and reflected to the outside, creating a mirror image. The piece takes the overall shape of the Psyche spacecraft, while cut into the main structure is the history of space exploration. In this piece you can see: Goddard’s first fuel rocket, Sputnik, the first human space flight, a Saturn rocket used for the Apollo missions, the lunar landing, Skylab I, the Space Shuttle, Mir, the Hubble telescope, the International Space Station, Voyager, the Spirit rover, the Curiosity rover, and finally Psyche, the next step in our exploration of space.